Write a review of the book on Amazon. Interested in an interview for your podcast or guest blog entry on your website? Let’s talk! Sign up for my email list at right here. Use my online press kit to spread the word about the book. Find everything you need below. Is there something you need but can’t find here? Let me know! For retail purchases, order a signed copy right here. The book will soon be available on Amazon. For wholesale purchases, order directly at IngramContent.com. What does it mean to find God and gratitude in India? 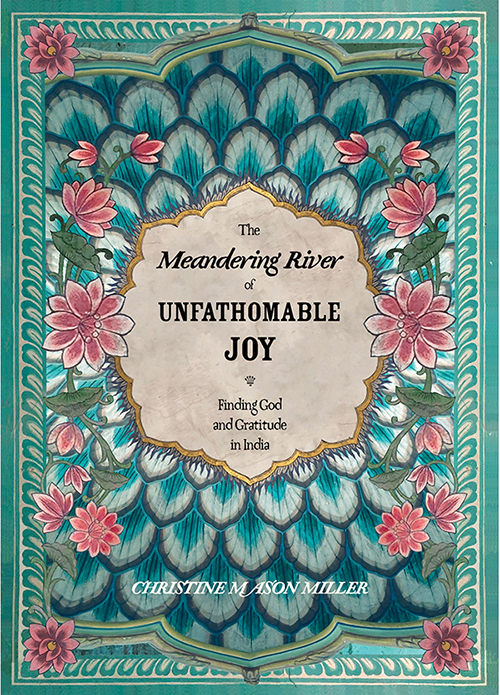 Author Christine Mason Miller shares how it unfolded for her in The Meandering River of Unfathomable Joy. With full-color photographs, illustrations, and recipes, every page inspires! 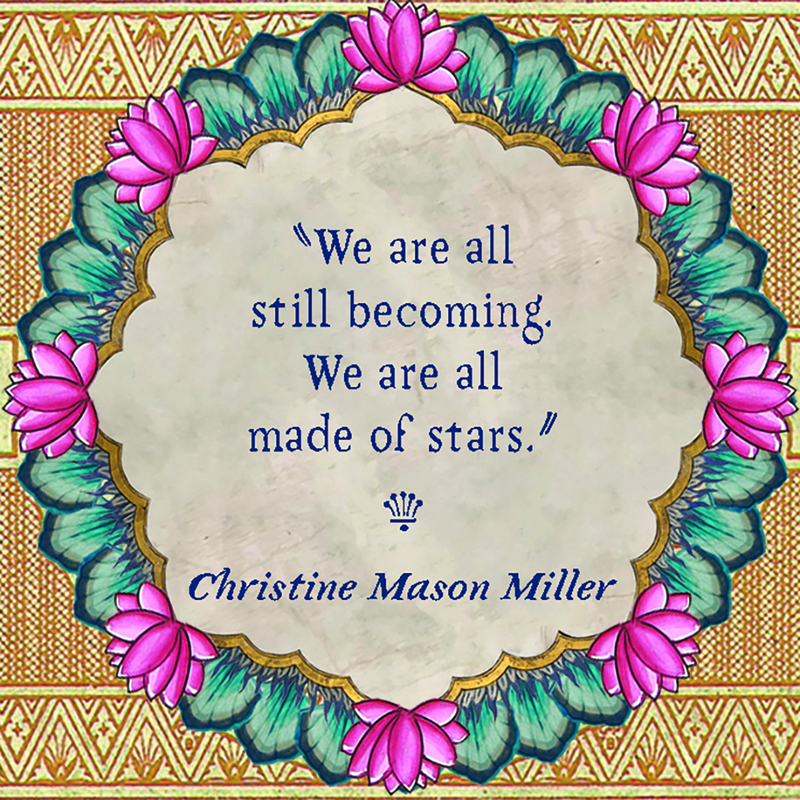 Order a signed copy at www.christinemasonmiller.com. Author Christine Mason Miller offers a soulful, prayerful glimpse of her time in India with The Meandering River of Unfathomable Joy - a beautiful book I’m happy to support! Order a signed copy at www.christinemasonmiller.com. 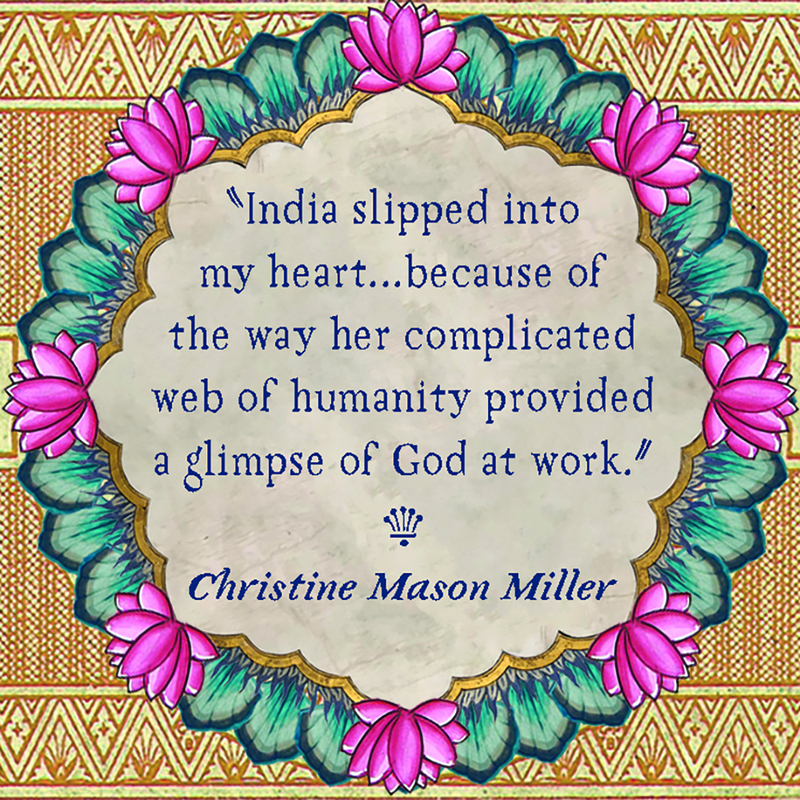 Take an inspiring journey along the streets of India through Christine’s stories, photographs, and recipes in The Meandering River of Unfathomable Joy. Order a signed copy at www.christinemasonmiller.com.